The Indian economy is undergoing large-scale transformation across various key sectors, and energy security has emerged as one of the key focus areas in unlocking the country's potential for meaningful development. Along with key policy changes, the government is working towards improving the bankability of key energy assets by restructuring and improving the financial health as well as the operational efficiency of distribution companies, along with continuing its efforts to promote new areas of growth such as India's offshore wind energy sector and the solar rooftop segment. The primary concerns for the country continue to be providing reliable, uninterrupted electricity to all and finding solutions to the unutilised capacity. While the majority of the contribution to India's energy mix continues to come from conventional energy sources, the government remains keen on scaling up the Indian renewable energy market and has set a target of 175GW of renewable energy capacity to be installed by 2022. India ratified the Paris Convention on Climate Change and aims to produce at least 40 per cent of its installed electricity capacity by 2030 from non-fossil fuels. Encouraged by the success of its initiatives in the renewable energy sector, and to ensure that commitments made to the international community are fulfilled, the government has considerably increased its renewable energy production targets, especially for the onshore wind energy and solar energy production. The power sector is governed by the federal government through, primarily, the Ministry of Power and the Ministry of New and Renewable Energy (the Renewable Energy Ministry). Currently, the Ministry of Power and the Renewable Energy Ministry are under the charge of a single minister to ensure an identity of objectives and synchronisation in policies. The Electricity Act 2003 (the Electricity Act) is the primary statute that governs generation, transmission, distribution and trading of electricity. The Electricity Act provides for the formulation of the National Electricity Policy 2005, the National Tariff Policy 2016 (the Tariff Policy), establishment of independent electricity regulatory commissions at the central level (the Central Electricity Regulatory Commission (CERC)) and state level (the state electricity regulatory commissions (SERCs)) and the setting up of the Appellate Tribunal for Electricity. The relevant SERCs exercise jurisdiction over intrastate electricity regulatory matters (including tariffs), whereas the CERC exercises jurisdiction over all interstate electricity regulatory issues (also including tariffs). The revised Tariff Policy was announced in 2016, with some of the key highlights being an increase in the solar renewable purchase obligation (RPO) to 8 per cent by 2022, exemption on the payment of interstate transmission charges for wind and solar power projects, applicability of RPOs on co-generation power plants, compulsory procurement by distribution companies of 100 per cent power from waste to energy plants in the respective state and development of intrastate transmission projects through a competitive bidding route for projects above a particular project cost threshold, to be decided by the SERCs. The government also proposed significant amendments to the Electricity Act, particularly in terms of enabling consumers to choose their electricity supplier by segregating the entities that distribute and supply power, stricter penalties for non-compliance with the RPOs and introducing a renewable generation obligation on thermal power producers, requiring them to set up or contribute towards renewable generation capacity. While the proposed amendments have not yet been finalised, the central government is exploring other initiatives with the state governments on measures to make the power sector more competitive. The Department of Atomic Energy2 and the Atomic Energy Regulatory Board regulate nuclear energy in India. The government is also in the process of setting up a statutory, independent and autonomous Nuclear Safety Regulatory Authority to replace the Atomic Energy Regulatory Board. In the past few years, the Ministry of Coal and the state-controlled Coal India Limited (CIL) have been at the receiving end of nationwide criticism for failure to supply the requisite quantity and grade of coal, leading to strong lobbying on the part of power producers for assured coal supplies by the government. In September 2014, the Supreme Court cancelled 204 out of 218 coal blocks allocated to various entities between 1993 and 2010 by holding the procedure of allocation to be illegal and arbitrary. However, with the enactment of the Coal Mines (Special Provisions) Ordinance 2014, and subsequently, the Coal Mines (Special Provisions) Act, 2015 (Coal Mines Act), there has been a push towards ensuring continuity in mining operations and transparency in allocation of coal blocks. In accordance with the Coal Mines Act, which now governs the coal block allocation process, the government has re-started auctioning the cancelled coal blocks and out of the re-auctioned blocks, certain blocks are now operational as well. Further, with the Coal Mines Act having lifted end-use restrictions on the coal mined from some of the re-allocated blocks to enable the sale of coal in the open market, the government has recently approved the methodology for auction of coal mines for the commercial mining of coal without any restrictions on sale or utilisation of coal. This methodology envisages that the auction will be an ascending forward auction with the bid parameter being the price (in rupees per tonne) paid to the government on the actual production of coal from the mine. The government's release in this regard also sets out that this is the most ambitious coal sector reform since 1993 and is expected to better the energy security scenario in India. Last year, the Union Cabinet had approved a proposal for flexibility in utilisation of domestic coal with an aim to reduce the cost of power generation. The Central Electricity Authority has now devised a methodology for implementing the use of coal assigned to particular states in the power generating plants in such states, which will improve the efficiency of coal-based thermal power plants by reducing cost of coal transportation and allow coal swapping among plants. The government has also put in place the Scheme for Harnessing and Allocating Koyala (coal) transparently in India (the SHAKTI policy), where the government coal companies will grant coal linkages on notified prices on an auction basis for coal-based power projects that have power purchase agreements in place. The bid parameter for this auction will be the levelised discount on the existing tariff that the independent power producer is willing to provide. This scheme has received a favourable response from generating companies and is expected to result in an annual generation of over 47 billion units of electricity. The Ministry of Petroleum and Natural Gas (MoPNG) deals with issues relating to petroleum, natural gas, coal bed methane, shale gas and other petroleum products. Along with exploration and production, the MoPNG also monitors its supply, distribution, marketing and pricing. The Directorate General of Hydrocarbons (DGH), which is under the administrative control of the MoPNG, regulates the upstream segments for issues relating to exploration and production of oil and gas. The Petroleum and Natural Gas Regulatory Board (PNGRB) is the midstream and downstream regulator that regulates the refining, storage, transportation, distribution, marketing and sale of petroleum, petroleum products and natural gas. Electricity generation, including captive generation, is a delicensed activity. While generation activities can be freely undertaken without a licence, approvals and procedures under other laws for land acquisition, environmental, corporate safety of electrical equipment and labour compliance must be adhered to. Electricity distribution activities (except for distribution of electricity in rural areas) require a licence from the relevant SERC. Electricity trading is a distinct recognised activity for which a separate licence is required from the CERC or an SERC (for interstate and intrastate trading respectively). Licences are awarded by the CERC for interstate transmission activity by way of a competitive bidding procedure in accordance with CERC regulations. For intrastate transmission services, licences are awarded by the relevant SERC. The proposed amendments to the Electricity Act provide for disaggregation of distribution activities by requiring the supplier of electricity and distribution network provider to be separate entities so as to enable consumers to choose their supplier. If these amendments come into force, supply of electricity will also require a licence from the relevant SERC, and the supply and distribution of electricity will be governed by separate operative codes to be issued by the relevant SERC. Exploration of oil and gas are separately licensed activities. The DGH awarded licences through international competitive bidding for natural gas exploration blocks under the New Exploration Licensing Policy (NELP) rolled out in 1999. The production-sharing contract (PSC) under the NELP programme stipulated conditions regarding pricing and sharing of total product obtained with the government. The DGH has successfully carried out nine rounds of bidding under NELP, in which 254 oil and gas blocks have been awarded. The MoPNG notified the New Domestic Natural Gas Pricing Guidelines 2014, which provide for the prices to be fixed on the basis of the annual average of the price of gas at specified international hubs, and require notification of the prices determined by the government on a biannual basis. The Coal Bed Methane (CBM) Policy 1997 offered blocks for exploitation of CBM through biddable revenue-sharing based on production-linked payment. The Policy specified modalities regarding the commercial development of CBM, identification and allotment of blocks and fiscal incentives or provisions. The government has also approved the marketing and sale of CBM by contractors on arm's length prices in the domestic market. Recognising the constraints experienced in the present PSC format and differences in the fiscal and contractual regime for oil and gas and CBM, the government has framed the Hydrocarbon Exploration Licensing Policy (HELP), which provides for a uniform licensing system to cover all hydrocarbons, such as oil, gas and coal bed methane, under a single licensing framework, allowing the possibility of exploring overlapping resources in a single block. Under HELP, both foreign and domestic companies can have a 100 per cent participating interest without the involvement of a government company in a joint venture. Among the ostensible reasons for concluding the NELP is the fact that blocks that were bid for under numerous PSCs are mired in disputes over the inflating costs of production and deteriorating production of oil and gas. Through HELP, a revenue-sharing arrangement is proposed to be implemented, where bidders will be selected based on their upfront revenue-sharing commitment offered to the government, which will be payable from the first batch of production. The revenue-sharing model will not be subject to cost recovery and therefore aims at eliminating the often tedious process of cost scrutiny that the government was required to undertake under the previous regime. Although the move to a revenue-sharing model has largely been well received, a few industry participants are likely to get discouraged under the new model as the investment recovery periods for companies will increase. The HELP has also introduced an open acreage policy in India (OALP), which permits the licensee to exploit the full range of hydrocarbons accessible in a single block and allows companies to approach the government at any time, expressing their interest in bidding for one or more blocks, after which the government would invite competitive bids from others interested in the same blocks. However, for the OALP to be made operational, it is critical for the DGH to build a reliable national data repository of, among others, potential blocks for the exploration and production of various hydrocarbons. The government has also introduced policy guidelines for exploration and exploitation of shale gas and oil by national oil companies, pursuant to which, the oil companies have started the first phase of assessment and have initiated exploration activities in 50 areas. While the potential shale gas reserves overshadow those of conventional gas, India has a long way to go in identifying shale gas-rich basins and acquiring the necessary technology and experience to extract shale gas, specifically in the absence of private participants. Petroleum, natural gas and city gas distribution (CGD) networks can be developed either through an expression of interest to the PNGRB or under competitive bids invited by the PNGRB. Under the expression-of-interest route, the PNGRB must publicise upon receipt such an expression of interest, to receive proposals or comments from different entities, and may invite competitive bids or allow for the proposal (with or without modification). Over the past decade, the government has progressively liberalised the energy sector, although government companies continue to be active players. Up to 100 per cent foreign direct investment (FDI) is permissible in generation (except nuclear power), transmission, distribution of electricity and power trading, as well as in the oil and gas sector3and up to 49 per cent in power exchanges without prior regulatory approval. Such investments are subject to sector-specific laws and policies. The Consolidated FDI Policy released by the Government of India on 28 August 2017 has maintained this status quo with the 49 per cent cap on FDI (without regulatory approval) in power exchanges being maintained. A majority of generation, transmission and distribution capacities are with either public sector companies or with state electricity boards (SEBs); however, private sector participation is increasing, especially in generation and distribution. The interstate transmission system is mainly owned and operated by Power Grid Corporation of India Limited, a state-owned company, and the intrastate transmission system is owned and maintained by state utilities. However, the public–private partnership (PPP) structure is increasingly preferred by the government for setting up interstate and intrastate transmission networks. Electricity distribution is largely in the control of government distribution companies, with privatisation being slow largely on account of the huge legacy liabilities of the state distribution companies. However, a few examples of privatisation in certain areas (such as Delhi, Orissa, Ahmedabad and Mumbai) have met with success. Apart from private participation in the distribution sector, distribution licensees in several states (particularly Maharashtra, Rajasthan and Odisha) have engaged distribution franchisees to discharge their universal supply obligations. Given that a distribution franchisee does not require a licence to function (unlike a distribution company), there has been considerable private interest in the sector with several companies submitting bids in recent auctions. The role of a distribution franchisee typically includes supply of electricity on behalf of the distribution company with related functions such as meter reading, tariff collection and operation and maintenance of distribution assets. That said, there have been multiple bid processes for selection of franchisees that have faced delays on account of reports of considerable aggregate technical and commercial losses that have to be borne by private franchisees. In India, the ownership of all mineral resources, including oil and gas, vests with the government, and is administered through the MoPNG. The Gas Authority of India Limited and the Oil and Natural Gas Company are the largest owners of oil and gas pipelines in the country. Private players are increasingly entering the CGD space in urban areas. While there are no specific restrictions on transfer of control or assignment of a generating company, power purchase agreements issued pursuant to certain renewable energy policies and bidding documents for thermal and renewable power procurement provide for shareholding restrictions for a certain period post-commercial operation. For instance, the Ministry of Power's revised standard bidding documents for long-term (seven to 25 years) procurement of power from thermal power projects (Revised SBDs), provide for a lock-in period (though on a sliding scale) of up to 10 years following commercial operations. Holders of licences for oil and gas exploration can transfer or assign all or part of their participating interest under the PSC, including any change in control of a party, with prior consent of the government. Other than these sector specific restrictions, provisions of the Companies Act 2013, Competition Act 2002, and the Securities and Exchange Board of India (Substantial Acquisition of Shares and Takeovers) Regulations 2011 (applicable to listed companies) will apply with respect to change in shareholding through mergers and acquisitions. Under the Electricity Act, SEBs were required to be unbundled into separate generation, distribution and transmission companies and most states have now completed the process. Transportation, distribution and marketing activities in the oil and gas sector are yet to be unbundled. While the PNGRB had circulated a concept paper on unbundling of activities of transportation and marketing of natural gas, no policy decision has been taken on this aspect. In the electricity sector, transmission licensees must provide non-discriminatory open access to its transmission system for use by other persons (including electricity distributors, traders and generating companies). Open access to distribution networks is also granted to bulk power consumers (i.e., consumers of above 1MW), to procure electricity at unregulated prices from entities other than the area distribution licensee. Separately, the government has the ability to issue directions to generators on operation of their power stations in extraordinary circumstances, a tool that more often than not has been used by state governments to restrict supply of power outside the state (in the event of a shortage). The PNGRB prescribes an access code for common or contract carrier natural gas pipelines, regulations for capacity release for natural gas pipelines and requires natural gas transporters to declare capacity available for common carriage on a monthly basis. The PNGRB regulates the storage and treatment of oil and gas, including prescribing the eligibility conditions for registration of liquefied natural gas (LNG) terminals and prescribing the technical and safety standards for pipelines and CGD networks. For imported LNG, the price under the term contracts and spot cargoes are mutually determined and are usually very high. Consequently, the MoPNG is currently exploring options such as price pooling to average out the prices and now that new pricing guidelines have been introduced, it is to be seen whether a separate price pooling mechanism will be adopted by the government. Under the Electricity Act, transmission schemes are implemented either through the tariff-based competitive bidding process or under a cost-plus mechanism where a regulated tariff is determined by the relevant electricity commission. The CERC adopts a 'point-of-connection' method for calculating interstate transmission charges and losses, which aims at developing a uniform transmission charge-sharing mechanism among grid constituents. However, to help meet the proposed target of 175GW of renewable energy capacity by 2022, the government has, among other measures, exempted the payment of interstate transmission charges for wind and solar power projects under the new Tariff Policy. The tariff for electricity distribution, comprising wheeling charges and cost of supply, is levelled and determined on a cost-plus basis by the relevant SERC. However, as renewable energy tariffs inch towards achieving grid parity, the government is slowly scaling back benefits allowed to renewable energy developers. For instance, the Ministry of Power has limited the exemption from payment of interstate transmission charges and losses to projects that are commissioned before 31 December 2019 and that are supplying power to distribution licensees. The government has also decided against extending the exemption on corporate tax on power producers (including renewable energy developers), which expired last year. The PNGRB has enacted regulations for determination of transportation tariff for petroleum and petroleum products, natural gas pipelines and CGD network. The tariff for such pipelines is determined taking into consideration a reasonable rate of return on the normative level of capital employed plus a normative level of operating expenses in the relevant pipeline. With a sophisticated energy infrastructure and now smart grids being proposed, cybersecurity concerns are paramount. The Information Technology Act 2000 addresses hacking and security breaches of information technology infrastructure. The government issued a National Cyber Security Policy in 2013, which aims at creating a secure cyber ecosystem, encourages use of open standards to facilitate interoperability and data exchange, and provides for creating mechanisms for security-threat early warnings and vulnerability management. Technology transfers into India are permitted in all sectors, including energy. All payments made for technology transfers into India are subject to Indian exchange control regulations. Export of technology transfers for specific sectors requires a licence under India's Foreign Trade Policy. The National Electricity Policy 2005 envisions 85 per cent of power from new capacities being contracted through long-term power purchase agreements (PPAs) and the remaining 15 per cent power capacity through market mechanisms. It is also expected that more merchant capacity will be available in the next few years as the Revised SBDs provide for a quantum of installed capacity to be sold at market-determined prices. The NITI Aayog (the Indian government's think tank and planning wing) released a draft of the National Energy Policy for public comments in July 2017. This policy sets out four objectives that the government hopes to achieve in the energy sector: access at affordable prices, improved security and independence, greater sustainability and economic growth. To achieve these objectives, this policy contains several recommendations such as better coordination between government ministries, reducing dependency on imported coal, increased use of renewable energy and enhanced investment in rural electrification. The power market is dominated by long-term contracted power. For thermal power projects (coal and gas) and hydro projects, long-term power is procured through a negotiated route or pursuant to a competitive bidding route. The Ministry of Power has directed state governments and distribution companies to procure power under the competitive bidding route (except that mandatory competitive bidding for hydropower projects has now been postponed till the end of 2022). Bidding for long-term procurement from thermal power stations can be done on the basis of the Revised SBDs that provide for two modes of bidding and supply of electricity. Under the DBFOO4 model, a distribution licensee invites bids to procure a specified quantum of power, while also prescribing the type of fuel and technology that is to be used for the supply. Under the DBFOT5 model, a distribution licensee invites bids for setting up a project on the basis of the lowest tariff, while also specifying the fuel and location of the project (which is required to be arranged by the distribution licensees). To specifically address stakeholder concerns on determination and impact of rising fuel import costs, the Revised SBDs provide for the cost of imported fuel to be benchmarked at actuals and linked to prevailing prices on international indices. In 2015, the government further amended the guidelines for procurement of power through the DBFOO route to revise the tenure to seven to 25 years and allowing the distribution licensees to deviate from the revised SBDs with the prior approval of the CERC or SERCs, allowing more flexibility for procurement of power. While several states have commenced (and some have even concluded) the bidding process under the DBFOO model, the DBFOT model has met with severe criticism from market players, who have voiced concerns on the inequitable apportionment of risks. This has resulted in the Ministry of Power constituting a committee to review the DBFOT standard bidding documents, pursuant to which the further revised bidding documents for the DBFOT model are expected to be released by the ministry later this year. While long-term procurement remains a top priority, the government is also determined to set up the short-term and medium-term markets for procurement of electricity. In January 2017, the government issued revised guidelines for procurement of electricity on medium term (one to five years) from power stations set up on a finance, own and operate basis. The revised guidelines mandate tariff determination through an open and transparent e-auction, with an overall aim of reducing power procurement costs. Similarly, guidelines for short-term (i.e., for a period of more than one day to one year) procurement of power by distribution licensees through a tariff-based bidding process have also been amended in 2016 to introduce the concept of reverse auction on an e-platform in the short-term supply of power. In April 2018, the Ministry of Power issued a pilot scheme to facilitate the purchase of power (aggregated power of 2,500MW for three years) from coal-based power plants that are commissioned but do not have a power purchase agreement in place. This scheme envisages that an aggregator will enter into power purchase agreements with the generating companies along with back-to-back arrangements between the aggregator and distribution companies. In 2015, the Ministry of Power issued a notification introducing a targeted gas supply scheme focused on gas based thermal power plants with stranded capacity. The scheme envisaged facilitating the import of requisite quantities of gas with considerable incentives in the form of tax exemptions on the import and regasification of LNG as well as discounted gas transportation rates for financial year 2015–2016 and financial year 2016–2017. A target of 30 per cent plant load factor was set for the operational and stranded power plants, which was to be achieved towards the end of 2015–2016. Although the plant load factor remains around 30 per cent, the scheme has not been extended beyond financial year 2016–2017. On the distribution front, the major problems plaguing the power sector in India are the abysmal credit ratings of the state distribution companies and their persistent failure to honour payments to generators under PPAs or extensive delays in doing so. Distribution companies have borrowed heavily to finance losses in their businesses, and are facing major hurdles in repaying their debt. The government launched the Ujwal Discom Assurance Yojana (the UDAY scheme) in November 2015, with the objective of improving the operational and financial efficiency of state-owned distribution companies. One of the major features of the UDAY scheme involves requiring participating states to take over 75 per cent of the debt of distribution licensees by way of a grant over a period of two years and issue non-statutory liquidity ratio bonds, including state development loan bonds for subscription by pension funds, insurance companies and other institutional investors. Under the UDAY scheme, lenders and financial institutions will not levy prepayment charges on a distribution licensee's debt, and will waive off unpaid overdue interest, including penal interest. For financing future losses and working capital of distribution companies, state governments will take over and fund future losses in a graded manner until financial year 2020-2021. The state governments have come forward in their support of the scheme and, at the time of writing, 32 states and union territories have signed up for the UDAY scheme, with almost all major distribution companies covered by UDAY. The state distribution companies participating in the scheme have reported significant interest cost savings and a sharp reduction in revenue losses. While the UDAY scheme initially reduced the woes of distribution companies in poor financial health, it has done little to bring about a significant or lasting impact on the power sector. The Parliamentary Standing Committee on Energy has estimated that investments of about 1,750 billion rupees (in private power generation) are currently at the risk of being declared 'non-performing assets' by the Reserve Bank of India. One predominant reason for the decline in the financial performance of these assets has been the significant delay in payments by the distribution companies. On a related note, with the inception of the Insolvency and Bankruptcy Code 2016, several captive power assets (attached to steel manufacturing units for which insolvency proceedings have been initiated) and power generation companies have been brought to the National Company Law Tribunal (NCLT) for commencement of insolvency proceedings. There have also been reports of a generation company taking a state-run distribution company to the NCLT for failure to pay dues over a period of three years. Insolvency resolution experts in India are also apprehensive about finding suitable buyers for these stressed assets given significant project completion costs and low bankability in terms of timely payments from distribution companies. For renewable energy projects, contracts are entered into with state utilities under specific state policies at preferential tariff or through competitive bidding depending on the state or central policy. Other modes of power sale include captive consumption and sale to consumers through open access. The CERC, through its Power Market Regulations 2010, seeks to promote and regulate interstate electricity transactions in various contracts (such as ancillary services market contracts and trading in renewable energy certificates (RECs)). In December 2016, the Ministry of Power, in consultation with the Ministry of External Affairs, issued guidelines for cross-border trade of electricity with neighbouring countries like Bhutan, Nepal and Bangladesh to facilitate the cross-border trade with greater transparency, consistency and predictability. The tariff for the cross-border transaction is proposed to be determined through government-to-government negotiations, and then adopted by the relevant electricity regulatory commission. The guidelines also aim at evolving a dynamic and robust infrastructure along with reliable grid operation for cross-border transactions of electricity. The REC is a market-based policy instrument introduced to increase and promote renewable energy capacity. Renewable energy producers who opt for the REC route are issued tradeable generation-based certificates that represent the renewable energy component of electricity generated, in addition to the average pooled cost of electricity from non-renewable sources of electricity of the past year. Generators who opt for the REC route cannot opt for the preferential feed-in tariff offered by the state distribution companies. These RECs can be bought by certain obligated entities (such as electricity distribution licensees and captive power consumers) to fulfil their RPOs. In 2016, the government introduced HELP to revive the ailing gas market by providing for pricing freedom for gas discoveries in blocks that were yet to commence commercial production. HELP also removed restrictions on the companies on exploration by allowing them access to the national data repository maintained by the government that has the data and gives them the discretion to explore the areas for gas as per their choice. In addition to HELP, the New Domestic Gas Pricing Guidelines were introduced with the underlying principle that producers in India should get a price similar to the rates prevalent in the international markets, which, in turn, is expected to increase investment in the sector and reduce the dependency on imports. However, the government recently issued a notification stating that the domestic gas pricing regulations will not be applicable on coal bed methane, and granted the coal bed methane producers marketing and pricing freedom to sell CBM at arm's length price in the domestic market. In relation to the allocation of coal blocks, the government had notified the Coal Block Auction Rules 2017 (2017 Allocation Rules) under the Mines and Minerals (Development and Regulation) Act 1957 on 13 July 2017, which set out the key aspects such as the cap on the number and quantity of coal that may be allotted to a private entity, the reverse auction-based tender process and relaxations for coal procured for ultra mega power projects (set up under the scheme of Ministry of Power in this regard). All allocations made under the erstwhile Auction by Competitive Bidding of Coal Mine Rules 2012 have now been migrated to the 2017 Allocation Rules. 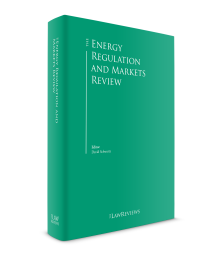 The regulatory environment increasingly seeks to incentivise renewable energy, with favourable tariff regimes established by SERCs. The Electricity Act, the National Electricity Policy and the Tariff Policy encourage private sector participation in renewable energy through measures such as providing for feed-in tariffs, fixing minimum RPOs for distribution companies and captive power users and providing incentives such as accelerated depreciation schemes, excise duty exemptions and reduced customs duty on renewable energy equipment. In addition, a renewable energy project developer is also entitled to receive RECs if it does not opt for preferential feed-in tariffs. Several states have put in place specific policies to promote renewable energy development; however, incentives and policies are not always consistent between states and developers often shop around based on the policy that best suits their financial model and operational expertise. Consequently, the development of renewable energy in India is geographically skewed. The past year witnessed transition in the onshore wind power sector in India. The policy framework for subsidy driven wind power procurement regimes (feed-in-tariff, generation-based incentive and accelerated depreciation) have given way to a more robust market price discovery regime of competitive bidding (reverse auction). This transition from early 2017 saw greater transparency in the determination of wind tariffs; however, the uncertainties regarding the new framework have also sharply reduced capacity addition of onshore wind power in 2017–2018. The capacity added has only been 1,739.14MW through the year against a target of 4,500MW, and far less than the 5,400MW added in 2016-2017. However, to achieve the 60GW of wind power targeted by 2022, the Renewable Energy Ministry has announced a procurement plan for 24GW of wind power (through competitive tendering processes) by March 2020. The new plan provides annual targets of 4GW of wind projects by March 2018, another 10GW over the next 12 months and another 10GW in the subsequent 12 months. The central government issued new guidelines in 2016 for onshore wind power projects after a gap of around 20 years. The guidelines contain, inter alia, clear timelines for completion of project to prevent land squatting; provisions to ensure installation of international-quality wind turbines compliant with grid regulations; and provisions regarding environmental suitability of wind projects. These guidelines, issued by the central government, are in addition to the wind policies issued by the various state governments. The government also issued the National Offshore Wind Energy Policy in September 2015 with the aim of promoting the country's offshore wind energy potential. The principal agency charged with the development of the sector is the National Institute of Wind Energy (NIWE). Under this policy, blocks are to be allocated through a competitive bidding route and developers are required to enter into seabed lease agreements with NIWE. In additional to allocation of blocks, NIWE is also required to carry out the initial wind resource assessment and assist the project developers in obtaining clearances. Taking steps towards harnessing this enormous potential, the Environment Ministry has given its approval to a wind measurement project in the Gulf of Kutch, near the Gujarat coast, for setting up an offshore data collection platform for survey, investigation, exploration, data acquisition and other related technical studies in territorial waters. Unlike the procurement of solar power, wind power procurement was not done on competitive basis until 2016. The first ever tariff-based auction for long-term wind power contracts on an inter-state procurement basis was conducted this past year, which has resulted in record low tariff of 3.46 rupees/kwh. The tariffs have further reduced to 2.44 rupees/kwh in subsequent bids (in February 2018) but have led to an uncertainty for under-construction projects from which electricity was proposed to be sold at the higher feed-in tariff determined by the SERCs. The government has notified the Guidelines for Tariff Based Competitive Bidding Process for Procurement of Power from Grid Connected Wind Power Projects (Wind Guidelines) with a view to promoting transparent bidding in the wind sector, where traditionally electricity has been sold to distribution companies at the feed-in tariff determined by the relevant SERC. Some key incentives for wind power developers under the Wind Guidelines include that a single bidder will be allowed to bid for a minimum wind project capacity of 25MW, with at least one 5MW project at each site for intrastate projects, while for interstate projects a bidder will be allowed to bid for a minimum wind project of 50MW at one site. The procurer can also specify the maximum capacity to be allotted to a single bidder, including the bidder's affiliates. The maximum capacity for a single bidder or company or group of companies can be fixed by the procurer taking into consideration economies of scale, land availability, expected competition timeframe, and the market need. In the offshore wind sector, the government of the India through the NIWE has invited expressions of interest from developers for India's first offshore wind project. The government aims to develop 5GW of offshore wind capacity by 2022. The government has currently identified the states of Gujarat and Tamil Nadu for development of offshore wind projects. Solar plants can be set up under the Renewable Energy Ministry's National Solar Mission (NSM, previously the Jawaharlal Nehru National Solar Mission), as well as under state policies. As is the case with wind energy projects, the accelerated depreciation limit has been reduced to 40 per cent on solar assets. Other incentives such as achievement-based incentives, subsidy programmes and tax benefits continue to be allowed on solar assets. After successfully implementing both batches of Phase I, and Batch I, II and III of Phase II of the NSM, the Renewable Energy Ministry has issued final guidelines for Batch IV of Phase II of the NSM, which proposes to add capacity aggregating 5,000MW. On the date of writing, several auctions are under way under Phase IV of the NSM. In a departure from Batch II Phase II (but similar to Batch I Phase II and Batch III Phase II), recent bids under Batch IV envisaged procurement under the viability gap funding (VGF) scheme, where the tariff is predetermined and bidders are selected on the basis of the quantum of discount they are willing to accept on the VGF to be provided by the government. Giving a major push to the solar power development, especially the large scale photovoltaic (PV) projects, the government has increased the capacity of solar parks (involving projects of multiple developers) from the existing 20,000MW to 40,000MW. In an ambitious attempt to meet its renewable energy target of 175GW, the Renewable Energy Ministry has proposed development of solar power projects with capacity of 67GW, as well as an integrated solar module manufacturing capacity addition of 20GW. The new plan put in place by the Renewable Energy Ministry provides new annual targets – 17GW to be tendered out by March 2018, another 30GW in the next 12 months and a further 30GW in the subsequent 12 months. The government has notified the Guidelines for Tariff Based Competitive Bidding Process for Procurement of Power from Grid Connected Solar PV Power Projects (Solar Guidelines) to promote standardised competitive procurement of electricity from solar PV projects and appropriate risk sharing between stakeholders. The Solar Guidelines envisage that standardised bidding documents (i.e., a request for selection, a power purchase agreement and a power sale agreement) will be prepared pursuant to the guidelines; these documents are expected to be in place over the next couple of months. The Solar Guidelines also provide several other incentives for solar power developers such as better payment security terms (a revolving letter of credit for one month of billing, payment security fund or a state government guarantee with an amount equivalent to three months' billing), handover of land (90 per cent of land within one month from execution of the PPA) for solar parks and compensation to developers in situations where the project is available to supply power but the grid is unavailable. On the domestic manufacturing front, the sector suffered a setback in 2016 when the World Trade Organization (WTO) ruled against the inclusion of certain domestic content requirements (DCR) in the tenders under the NSM. The guidelines under the NSM had prescribed certain DCR to promote local manufacturing capability and attract efficient and advanced technology. In response, the United States raised a dispute at the WTO following failed consultations regarding the DCR for solar cells and modules (having once challenged the requirements under Phase I as well). It has claimed that the requirements (although for a portion of the total capacity) are in violation of India's international trade obligations, as they discriminate against foreign suppliers. The WTO in its findings, stated that India's DCR are trade-related investment measures, thereby violating the Trade Related Investment Measures Agreement and provisions of the General Agreement on Tariffs and Trade (GATT) by providing less favourable treatment within the meaning of GATT. India appealed the WTO's decision before the WTO Appellate Body, which was rejected. Following the WTO ruling, the government has since restructured the Solar Guidelines to remove DCR related obligations. In another related development, the government has rejected a proposal to implement anti-dumping duties against imported solar cell technology. This decision of the Renewable Energy Ministry acknowledging that the current capacity of domestic manufacturing is inadequate to meet the targets for solar capacity addition, and focusing on growing the market first before promoting domestic manufacturing, has been hailed as highly pragmatic and investor-friendly. There are currently ongoing trade investigations for the imposition of safeguard and anti-dumping duty on import of PV cells and modules. The Ministry of Finance has proposed a provisional duty of 70 per cent for 200 days on solar cells and modules. However, this proposal has received resistance from the Indian manufacturers in the sector who propose to file a petition in relation to investigations over the past year. To further address issues regarding additional taxes being imposed on solar power projects (in terms of components or services), the Renewable Energy Ministry has explicitly clarified that a protection under change in law provisions will include a change in the rates of applicable taxes, duties and cesses. This move is expected to decrease the uncertainty around tariffs becoming commercially unviable on account of increase in taxes. To combat global warming and climate change, the International Solar Alliance (ISA), which is a partnership of more than 120 solar resource rich countries, was officially launched in 2015 with its headquarters in India. The objective of the ISA is to create a coalition for addressing the special energy needs and capacity building among the member countries in a collaborative manner. More than 20 countries, including India, have signed the Framework Agreement to see the ISA becoming an intergovernmental body under the UN charter. India has been chosen as the host country of the ISA and a framework agreement between the Ministry of External Affairs, Government of India and the ISA has been signed in March 2017. This framework agreement gives the ISA a juridical personality and gives it power to contract, acquire and dispose of movable and immovable properties, to institute and defend legal proceedings in India. In addition to setting up solar generation capacity through solar power plants and solar parks, various states are also looking to promote the setting up of both grid-connected and off-grid solar rooftop systems. The government launched a US$750 million subsidy scheme for rooftop solar projects to provide close to 30 per cent of the capital subsidy required. The government has already allocated around US$90 million in subsidies to various states in the country. In a bid to further encourage the use of solar rooftop systems, the government has recently exempted customs and excise duty on materials used in solar rooftop systems. Additionally, state governments are promoting the installation of such systems by introducing enabling legislation, such as net metering regulations. Solar Energy Corporation of India, which is a central government company under the administrative control of the Renewable Energy Ministry, issued a tender for 1,000MW capacity for the development of grid-connected rooftop solar capacity, utilising the rooftops of central government ministries and departments, reduced to 500MW after reassessment of the potential capacities of all the government ministries and departments. The Renewable Energy Ministry has proposed to launch the National Bioenergy Mission (along the lines of NSM) to boost power generation from biomass by facilitating capital investments and reducing use of fossil fuels. In the context of municipal waste-to-energy projects specifically, there is significant scope in Indian cities for business; however, several challenges are being faced by ongoing projects. While there is opposition on account of environment and health hazards for the communities living in proximity to these projects, and low quality of waste because of lower calorific value, the government is trying to promote schemes to encourage cities and municipalities to take up waste-to-energy projects in PPP mode. Recently, India launched its largest waste-to-energy plant in Delhi, which will consume 2,000 metric tonnes of waste every day and shall generate 24MW of energy. The revised tariff policy mandates power distribution companies to buy 100 per cent of the electricity generated from the waste-to-energy plants in their respective states. To institutionalise energy conservation efforts, the Energy Conservation Act 2001 was enacted and the Bureau of Energy Efficiency (BEE) was established under the Ministry of Power in 2002. Periodic energy audits have been made compulsory for power-intensive industries under the Energy Conservation Act. The National Electricity Policy affords high priority to energy conservation and demand-side management through the BEE. To further enhance efficiency in thermal power projects, the Revised SBDs specify the station heat rate at which the power stations must be operated, failing which the developer is heavily penalised by a decrease in the fixed charge. Additionally, the CERC tariff regulations provide for operational norms such as reduction in heat rate for existing bigger units, linking of allowable heat rate to design heat rate, tightening of working capital norms, and norms on reduction in secondary fuel oil consumption. The National Electricity Policy envisages special efforts being made for research, development demonstration and commercialisation of non-conventional energy systems. Further, it envisages the gradual introduction of efficient technologies (such as super-critical technology and integrated gasification combustion cycle) for generation of electricity. It also requires cost-effective technologies to be developed for high-voltage power flows over long distances with minimum possible transmission losses. In the past year, the government has continued to introduce a spate of reforms across the energy spectrum, backed by swift executive action, which have enthused stakeholders in a hitherto stagnating market. The mainstay of the Indian electricity market over the past financial year has been the promotion and stabilisation of the renewable energy sector, with the introduction of competitive bidding in the wind and solar sectors that have witnessed a significant lowering of tariffs. With capacity addition of about 62GW in renewables alone, the Central Electricity Authority currently estimates that there is no coal-based capacity addition required until 2022, especially given that about 50,000MW of coal-based projects are currently under construction in the country. On the distribution front, the UDAY scheme has outlived its initial push to distribution licensees, with distribution companies focusing on operational inefficiencies (transmission and distribution losses, metering and collection issues) to lessen the financial burden on them. With the strengthening of the law governing insolvency in India, there is a significant risk of power sector assets being brought before the NCLT for insolvency proceedings. The Reserve Bank of India has recently withdrawn several debt restructuring schemes and is in the process of strengthening the norms and procedures for declaration of non-performing assets. This would mean greater accountability for power producers and perhaps an increase in insolvency proceedings being initiated for entities in the energy sector. In the transmission sector, giving a boost to large-scale transmission projects – which includes setting up the 'green energy corridor' to provide for additional large-scale renewable energy capacity – the government has launched the National Smart Grid Mission (NSGM), with a broad aim of planning, implementing and monitoring all the smart grid projects in the country. Through the NSGM, the government plans to develop smart microgrids by using state-of-the art technology to monitor and control power flows. However, renewable energy project developers believe that the current grid infrastructure is inadequate to complement the rapid growth witnessed by the renewable sector. In the nuclear power sector, India's failed attempt to gain membership of the elite Nuclear Suppliers Group despite an unprecedented diplomatic push has been a major setback to India's aim for energy security and combating climate change. India's commitment to reduce its dependence on fossil fuels, and to ensuring that 40 per cent of the country's energy requirements are met from non-fossil fuels, requires a significant ramp-up in nuclear power production. There were certain concerns of suppliers and manufactures of nuclear material and equipment who feared the possibility of exorbitant liability being passed on to them by an operator under the Civil Liability for Nuclear Damages Act 2010 in the event of a nuclear accident. The government of India has clarified that while the legislation would not be amended, it was not mandatory to include a civil liability clause in the contractual arrangements between the foreign supplier and the Indian operator. Critics are of the view that the government's interpretation of the law is problematic in that liability will not be traced back to a supplier of nuclear equipment or material as they would rarely agree to a civil liability clause when it is not mandatory under Indian law. However, to allay the concerns of suppliers regarding their liability, the India Nuclear Insurance Pool, with a capacity of 15 billion rupees, was launched by Indian insurance companies. It provides coverage to operators and suppliers for any nuclear liability towards third parties. At the international policy arena for energy sector, India has been successful in being at the forefront of the ISA, which is an Indian initiative and could help India in aligning its energy ambitions in the future. India has also joined the International Energy Agency this year as an associate member, which would help India to move to the centre stage of the global energy dialogue and to better represent the interests of the emerging markets. India also houses the headquarters of the ISA and is at the forefront of activities proposed by the ISA. One of the major developments of the past year came when the government announced the new Tariff Policy in January 2016. Under the revised Tariff Policy, solar RPO was fixed to 8 per cent by 2022 and the renewable generation obligation on thermal power plants were introduced, which has been well received in the renewables market. While the introduction of the once promising system of RPOs and RECs resulted in a market where supply of RECs greatly outstripped demand on account of non-enforcement of RPOs, recent amendments by the CERC to the floor and ceiling price of solar RECs has resulted in a marked rise in the number of solar RECs traded on the market, albeit at the floor price. Further, the Supreme Court has made it mandatory for industries with captive power plants to procure a percentage of their energy from renewable sources and empowered the SERCs to impose penalties on units that failed to fulfil its obligations, which has further shored up the REC market. The government has been striving for increase in production of renewable power through the use of advance technology by proposing installation of 'ultra-mega solar power projects', and through innovative solutions to capitalise on abundant solar energy by proposing solar parks along canal banks and solar power-driven agricultural pump sets and water pumping stations. The government has also proposed feeder separation to augment power supply to rural areas, and to strengthening transmission and distribution systems. The tariffs determined by the competitive bidding process for the procurement of solar power have fallen steeply over the past two years. India achieved its record-low tariff of US$0.044/kWh in the bid for a 750MW solar PV project at the Rewa Solar Park in Madhya Pradesh, which is one of the largest single-site solar projects in the world. Industry experts are attributing such a low tariff to the overall project design, with bidding documents that were largely seen as developer-friendly owing to provisions such as state guarantee, identified buyers and deemed generation benefits. The government has also given a massive thrust to increase the share of wind energy in the overall installed energy capacity of the country by introducing various policy initiatives in the past year in the wind energy sector that include the introduction of bidding in the wind energy sector; the Re-powering Policy; the Draft Wind-Solar Hybrid Policy; the New Guidelines for Development of Wind Power Projects, etc. Further, the promotion of solar rooftop projects by various state governments is a discernible trend, with a number of states issuing net metering regulations and upgrading local grids to match the growth of the solar rooftop sector. The introduction of competitive bidding guidelines in the wind and solar sectors has led to a fresh impetus in the provision of better risk allocation, which has led to greater investor confidence and significantly lower tariffs. As regards interstate scheduling and forecasting obligations for wind and solar plants, the CERC amended the Indian Electricity Grid Code and Deviation and Settlement Regulations, making scheduling mandatory for wind and solar plants with a capacity of over 50MW. The deviation settlement mechanism, which has replaced the unscheduled interchange mechanism, allows scheduling with a plus-or-minus 15 per cent range, with penalties payable by the generators for exceeding the permissible range, based on the tariff under their respective power purchase agreements. To complement the interstate regulations, several states have issued their draft intrastate scheduling and forecasting regulations, with states such as Andhra Pradesh and Gujarat having notified these regulations last year. Several other states are expected to follow suit this year. On the natural gas front, welcome signs for beleaguered gas-based power plants include the significant fall in the price of gas following the bi-annual revision of gas prices under the New Domestic Gas Pricing Guidelines, and the diversion of gas from fertiliser plants to standard power stations in coastal states. In 2014, the government announced that it would lay an additional 15,000km of natural gas pipelines on a PPP basis; however, this proposal has not materialised due to lack of financial viability. One key development revolves around the Supreme Court's decision to deny compensatory tariffs to various power producers whose power plants are lying idle, underutilised or facing delays on account of a change in the Indonesian coal pricing regime. In 2014, the CERC and certain SERCs found that the difficulties faced by such power producers were genuine, and sought to provide relief to these power producers in the form of a 'compensatory tariff', to compensate the losses suffered and additional costs incurred by them. However, the Appellate Tribunal for Electricity (APTEL) in its judgment in 2016 held that the CERC does not have jurisdiction when it comes to varying or modifying tariffs or granting compensatory tariffs in cases where a tariff has been determined through a tariff-based competitive bidding route. The APTEL did state, however, that the CERC would have the power to grant relief in the event that a force majeure or change in law were to be established. The Supreme Court has set aside the order of APTEL and held that the change in the Indonesian coal pricing regime is neither force majeure nor change in law as per the PPA. However, the Supreme Court held that the amendment to the New Coal Distribution Policy in 2013 would be considered as change in Indian law, and that the power projects that have been impacted by the shortfall in domestic coal supply due to such amendment may be compensated as per the change in law provisions in the PPA. In this regard, the Supreme Court has asked CERC to take a fresh look at the matter to determine the relief that should be granted due to the change in Indian law, if any. However, the coal sector is unlikely to be a key focus area for the government given the current energy mix in the country, and estimates that coal based capacity need not be added till 2022 at the least. In the oil and gas sector, the government has approved a policy for extension of production-sharing contracts for oil blocks granted prior to NELP to enable and facilitate investment to extract the remaining reserves by advanced technologies. In the past year, bidding for oil and gas blocks was conducted after a break of six years and contracts were awarded to the successful bidders under the Discovered Small Field Policy bid round – 2016. The selected bidders have been awarded the contract under the revenue sharing model, giving them pricing and marketing freedom. Further, the dispute between the government and the Reliance group (an oil and gas major) and BP Plc on the pricing of gas from the KG-D6 block that is currently under arbitration – specifically the discrepancy between the formula for determining the price of gas recommended by the Rangarajan Committee and the formula ultimately adopted by the government in the new pricing guidelines (which gives significantly lower prices) – will be crucial in determining key aspects such as pricing of gas in India, certainty of executive decisions (on key commercial aspects such as pricing) and the impact on investments in the oil and gas sector. While the government has, through HELP, introduced market and pricing freedom for gas discoveries, the benefit of this freedom will not be applicable to those blocks that are currently under arbitration – KG-D6 being one such block. BP has withdrawn arbitration proceedings against the government with a view to get an enhanced tariff of US$5.56 per unit (which is not applicable to entities that are currently in dispute with the government). Reliance is currently continuing with the arbitration with hopes of better terms with the change of the government at the federal level. The government has tackled policy reform in the energy sector with enthusiasm and aggression, bringing about significant key changes with the aim of increasing the bankability of power projects. The government's policy reforms reveal a clarity of vision and a push for stability in the energy sector with a renewed commitment to non-conventional sources of energy. This is apparent from the government's aim of restructuring financially stressed distribution companies, bringing consistency in all the standard bidding documents for procurement of power, and introducing a new pricing regime for natural gas coupled with the shift to HELP. In respect of renewable energy, the new government is making significant strides by introducing key incentives for solar and wind power producers, a push for rooftop solar plants and ultra-mega solar power plants. The recent regulatory and policy changes made in the energy and infrastructure sector are indicative of the fact that the government is committed to greater transparency and openness in the sector, with most of the procurement moving towards a competitive bidding regime. The judicial authorities are also taking a serious look at irregularities and inconsistencies in government policies and awards, which is evidenced by landmark judgments by the Supreme Court, including in the coal block deallocation cases, compensatory tariff cases and the CCI's decision to levy a penalty on CIL. However, there are persisting concerns, such as inadequate transmission infrastructure to support growth of renewable energy and lack of affordable financing. While the policy reforms have led to an initial spurt in capacity addition, achieving India's aim of energy security is quite a way from being accomplished. That said, although the government seems to gaining some ground, it will require continuous and persistent reforms over the coming year to ensure that India achieves its ambitious targets in the energy sector. 1 Neeraj Menon is a partner and Akshita Amit is an associate at Trilegal. 2 The Department of Atomic Energy is directly under the Prime Minister's charge. 3 Investments of up to 49 per cent are permitted in petroleum refining undertaken by public sector entities. 4 The DBFOO model refers to a project set up on a design-build-finance-own-operate basis. 5 The DBFOT model refers to a project set up on a design-build-finance-own-transfer basis.